Hope you all had a wonderful Halloween! 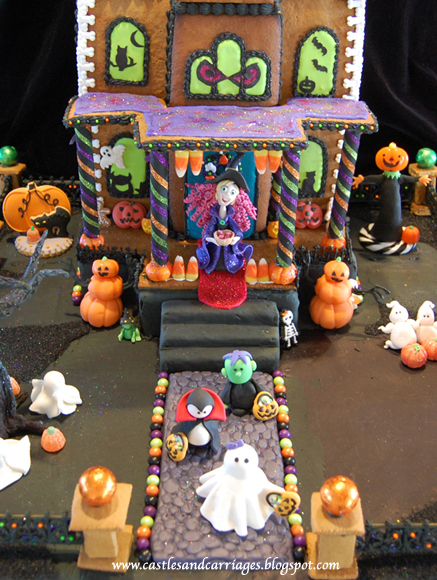 This is the gingerbread house I've been working on for the past few months with some help from Carlos Lischetti's Animation in Sugar: Take 2. 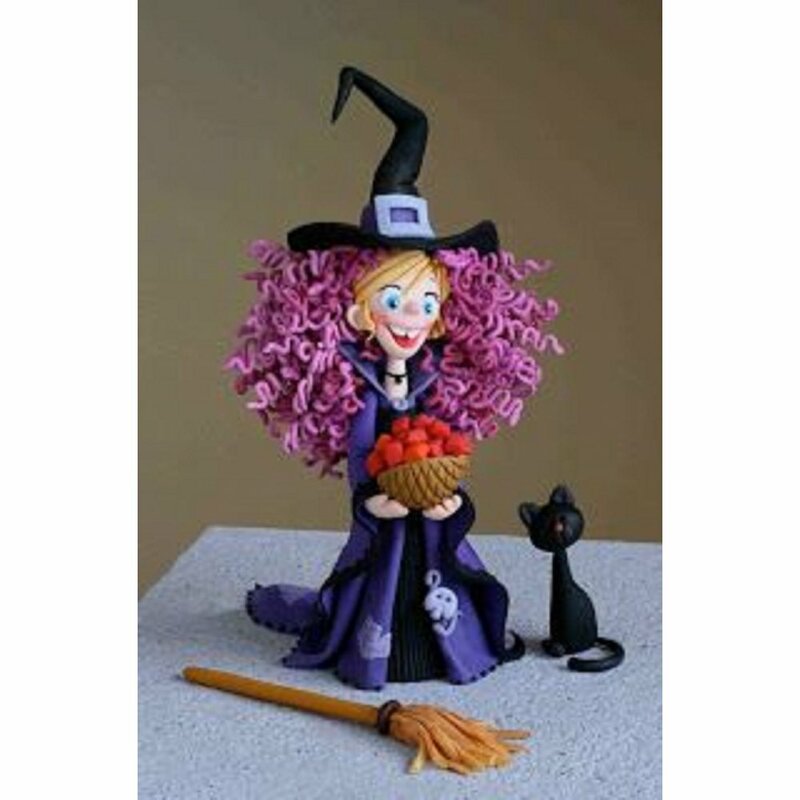 Months ago, I spotted this adorable witch made out of gumpaste on Pinterest and there no information about who created it. Then, I stumbled across Carlos Lischetti's work and promptly ordered his book that way I could create my own version of his gumpaste witch. Carlos works alongside his brother Elio who designs and draws the characters. Carlos then creates the characters out of gumpaste, food coloring, pastillage etc. His work inspires me to create my own gumpaste figures. 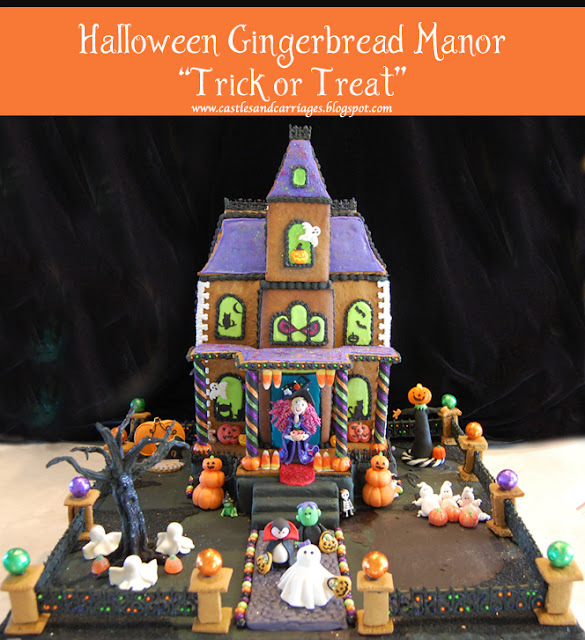 I knew that I wanted a traditional Halloween gingerbread house complete with a haunted house, vampire, frankenstein, ghosts and lots of pumpkins. This Trick or Treat gingerbread house really sparkles under the light. I used lots of disco dust on the roof of the haunted house and on all figures. Black paper thin sugar sheets were used to cut out the window silhouettes. This has to be one of my favorite projects thus far.